In the past two decades, complexity thinking has emerged as an important theoretical response to the limitations of orthodox ways of understanding educational phenomena. Complexity provides ways of understanding that embrace uncertainty, non-linearity and the inevitable ‘messiness’ that is inherent in educational settings, paying attention to the ways in which the whole is greater than the sum of its parts. 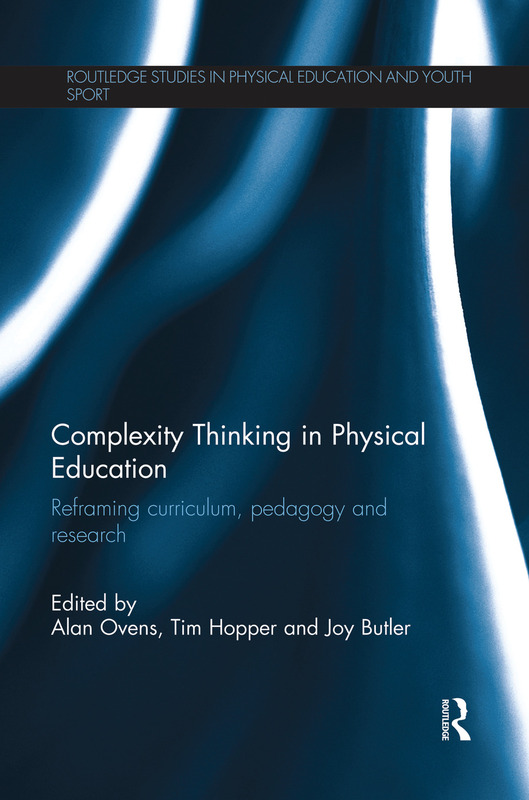 This is the first book to focus on complexity thinking in the context of physical education, enabling fresh ways of thinking about research, teaching, curriculum and learning. Written by a team of leading international physical education scholars, the book highlights how the considerable theoretical promise of complexity can be reflected in the actual policies, pedagogies and practices of physical education. It encourages teachers, educators and researchers to embrace notions of learning that are more organic and emergent, to allow the inherent complexity of pedagogical work in PE to be examined more broadly and inclusively. In doing so, Complexity Thinking in Physical Education makes a major contribution to our understanding of pedagogy, curriculum design and development, human movement and educational practice. Dr Alan Ovens is a Principal Lecturer in the School of Curriculum and Pedagogy at The University of Auckland. His research interests are in the area of teacher education and educational sociology. He coordinates the Faculty’s Special Interest Network in Complexity (SINC) and leads a Research Network in HPE Teacher Education. Dr Tim Hopper is an associate professor in the School of Exercise Science, Physical and Health Education, Faculty of Education, University of Victoria in British Columbia, Canada. His research interests are in the areas of teacher education, physical education (PE) and how complexity thinking informs learning. Dr Joy Butler is an Associate Professor in the Department of Curriculum and Pedagogy at The University of British Columbia. Her research interests are in the areas of teacher education, constructivist learning theory, complexity thinking and situated ethics. She is active in international scholarship, organization, and advocacy for TGfU. The Routledge Studies in Physical Education and Youth Sport series is a forum for the discussion of the latest and most important ideas and issues in physical education, sport, and active leisure for young people across school, club and recreational settings. The series presents the work of the best well-established and emerging scholars from around the world, offering a truly international perspective on policy and practice. It aims to enhance our understanding of key challenges, to inform academic debate, and to have a high impact on both policy and practice, and is thus an essential resource for all serious students of physical education and youth sport.